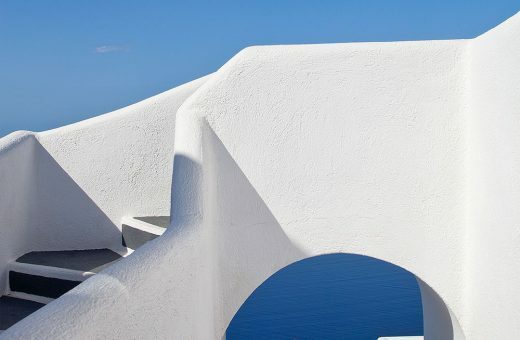 This picturesque village, far removed from the tourist trail, is home to Santorini’s famed wines and boasts majestic mansions, traditional architecture, pirate hideouts and vineyards. A handsome bell tower frames the entrance to Megalochori. 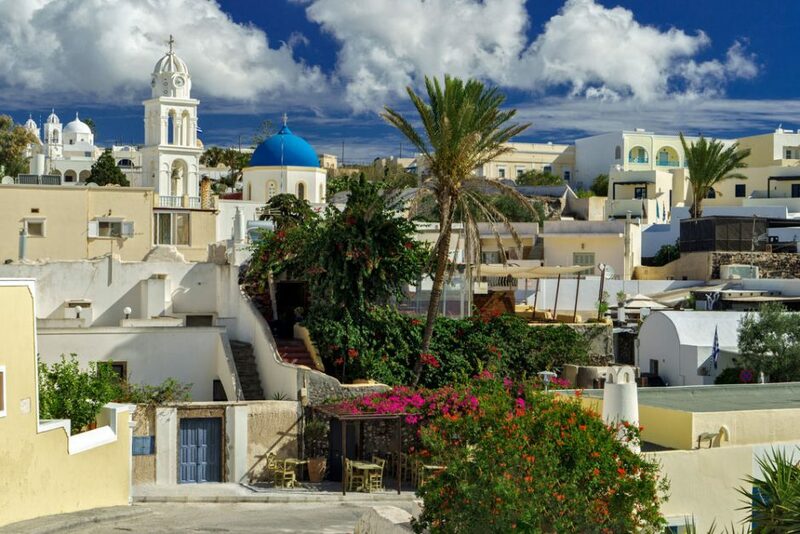 A couple of tavernas serving traditional Santorini fare (including its famed Fava with capers and domatokeftedes), whitewashed bougainvillea-covered terraces and churches with those celebrated blue domes dot the village centre. Spiraling out from Megalochori’s sleepy town square is a maze of winding cobbled alleyways heading out in different directions. 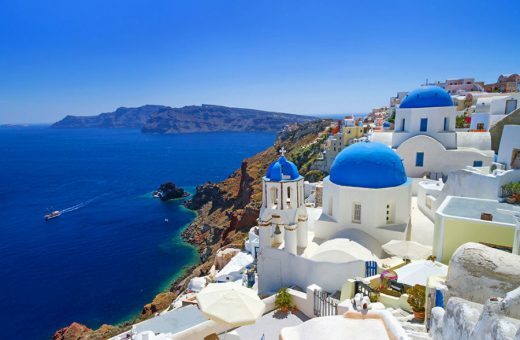 Predominantly vineyard country, Megalochori covers a large expanse of the south western plains of Santorini, stretching towards the Caldera on the west, and the traditional settlement built on the banks of a stream to the east. Megalochori has always been the thriving hub of Santorini’s wine industry. Historically, local aristocrats and merchants traded in Vinsanto wine, still one of Santorini’s key exports. Today, Santorini’s indigenous grape varieties such as Assyrtiko roll off the tongue of sommeliers worldwide and some of the finest white wines lining connoisseur’s cellars are a product of Megalochori’s unique curled vines. 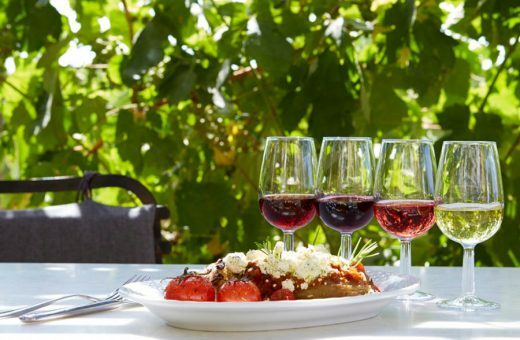 While in Megalochori, visit local vintners to get a taste of local wines and a lesson in this island’s singular wine-making tradition. Make some time for a swim at two of Megalochori’s beaches, far from the teeming crowds, at Plaka beach and Thermi beach, accessible only by foot.